If you want to enjoy the Good Life: making money in the comfort of your own home with your photography, then this is for YOU! 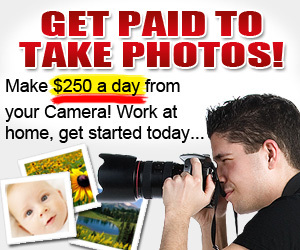 Did you know thousands of photographers are making hundreds even thousands of dollars every day just by selling their pictures online? In fact every month millions of photos are bought online which is used for websites, magazines, blogs, print ads, marketing materials and many more. With our help we can sell your photos to millions of potential buyers!